Of course, a hybrid SUV and autonomous tech is also in the works. Subaru's former CEO, Yasuyuki Yoshinaga, . His replacement, Tomomi Nakamura, has just announced his five-year business plan to boost the company's US market share and global sales, and invest in next-generation technologies. The plan is called "STEP," which stands for speed, trust, engagement and peace of mind. That "speed" part sounds interesting to us. , the five-year plan is set to run through March of 2026, with several important goals including lifting sales by 18% to 1.3 million vehicles globally. In Subaru's largest market, North America, Nakamura is targeting a 20% sales increase from 770,000 to 920,000 vehicles. Some specific parts of the plan include the introducing a new hybrid vehicle and global SUV in the early 2020s, evolving the Dynamic X Solid design language into a "bolder" look, enhancing sporty models and including an STI tuner line, delivering level two autonomous highway driving by 2020, and offering connectivity in 80% of vehicles by 2022. 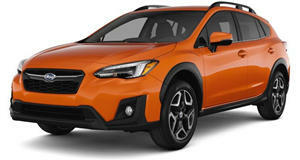 Of course, our favorite part of this plan involves the bolder styling and enhancement of Subaru's sporty models. 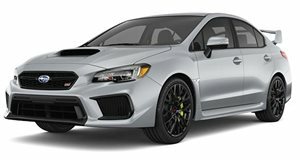 The WRX is still very competitive, but . Under the company's new leadership, we may even see an expansion of the STI name for the first time ever in the US.